In 1957, Arne Jacobsen created a futuristic and minimalist cutlery series that is more contemporaneous than ever today. The cutlery was initially designed for the SAS Royal Hotel in Copenhagen. It was highly discussed when it first came to the market in the year 1957. The transparent lines are connected to the handicraft production forming cutlery that lies pleasantly in the hands. The slim form and scarce contour from Arne Jacobsen has made the model a classic. The Arne Jacobsen cutlery has been shown in the Stanley Kubrik 2001 "A Space Odyssey" and other futuristic films. 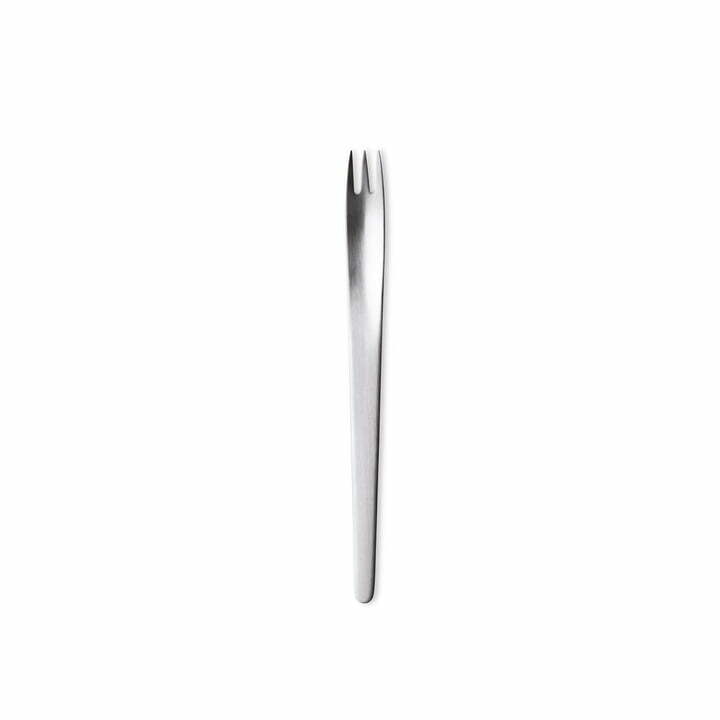 It became one of the most popular cutlery series from Georg Jensen along the years. Arne Jacobsen is made out of mat, stainless steel. To use this fork to taste the cake or bread can let the foods become delicious.